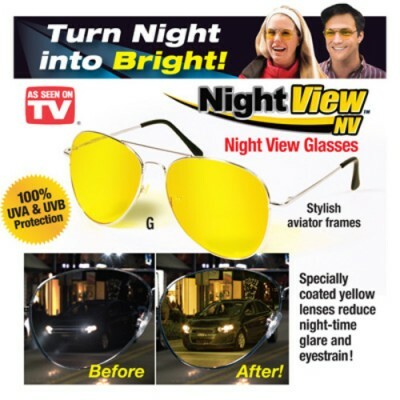 Night View Glasses-As Seen On TV-C: 0219. 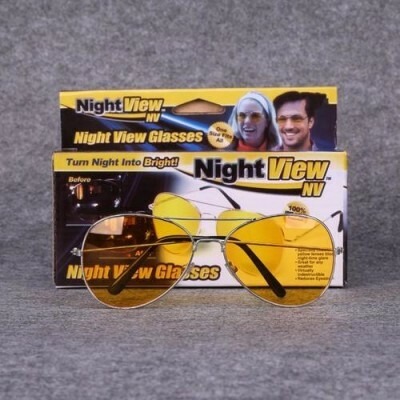 These polycarbonate glasses are meant for use between dusk to dawn under all weather and atmospheric conditions that can make safe driving difficult. Polycarbonate was developed in the 1970s for aerospace applications, and is currently used for the helmet visors of astronauts and for space shuttle windshields. Eyeglass lenses made of polycarbonate were introduced in the early 1980s in response to a demand for lightweight, impact-resistant lenses. Since then, polycarbonate lenses have become the standard for safety glasses, sports goggles and children's eyewear. 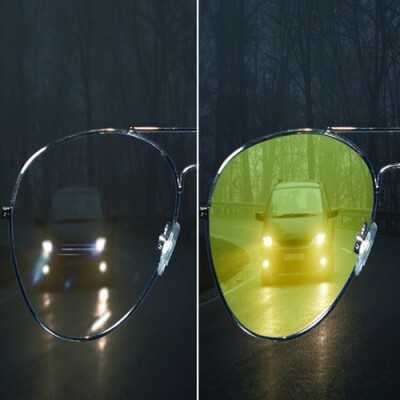 The stylish aviator frame ensures that nobody knows your secret to safe driving. Lightweight comfort guarantees you won't have a headache from use. Impact resistant, thanks to the aerospace technology of polycarbonate material used in construction. 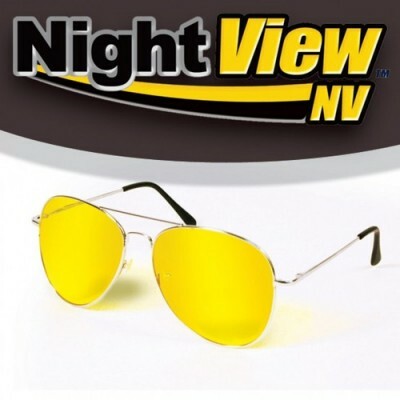 Yellow coating blocks blue light that causes night-time glare. 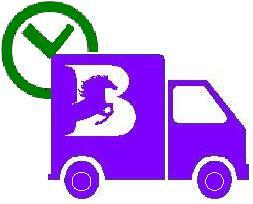 Package Dimension : 15.5 x 5 x 11cm. 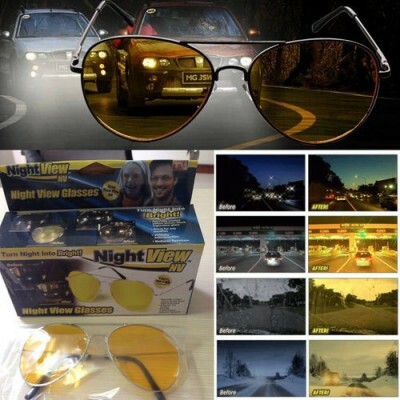 Avaitor Night View Sunglasses - 1 Pcs.